There is still time left for this FREE OFFER. We know how much our customers love our fragrances. You let us know every day. Now it’s our turn to show you. 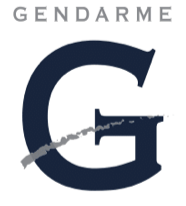 Until September 14th, every order of $200 or more will entitle you to a free 1.7 ounce Gendarme fragrance of your choice. 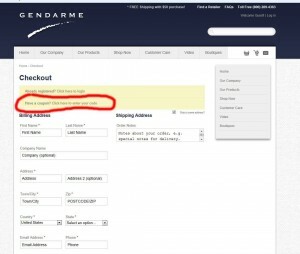 Just place your $200 order in your shopping cart, add the 1.7 oz. you want and $50. Will be deducted at your checkout. Use the Code LOL 50 . Use coupon code LOL50 as shown below. Coupon expires 9/14/16 11:59pm pacific standard time.